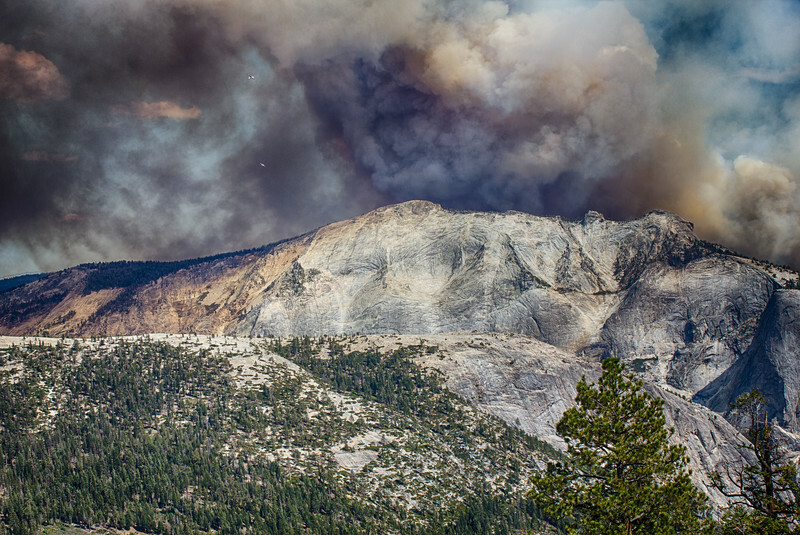 Another image from the Meadow Fire in Yosemite National Park. You can see two aircraft circling above. Windy, hot conditions, plus big mountains and deep canyons, made for some very major league flying conditions. Those pilots had nerves of steel!